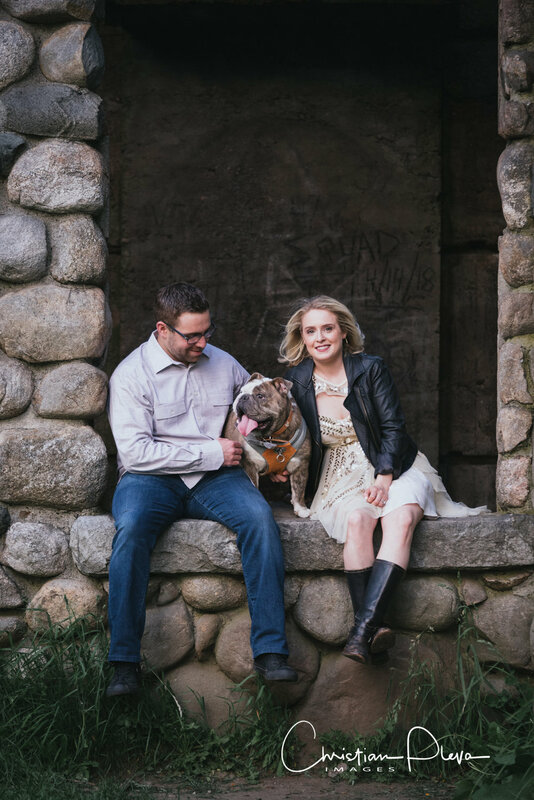 There is so much to say about our engagement photography with Becca and Brendan. We met Becca a few years ago while working with her sister for her engagement and wedding. Over the years we've become incredibly close to her family and Becca was even so kind to make our wedding cake when Melissa and I tied the knot in 2016. 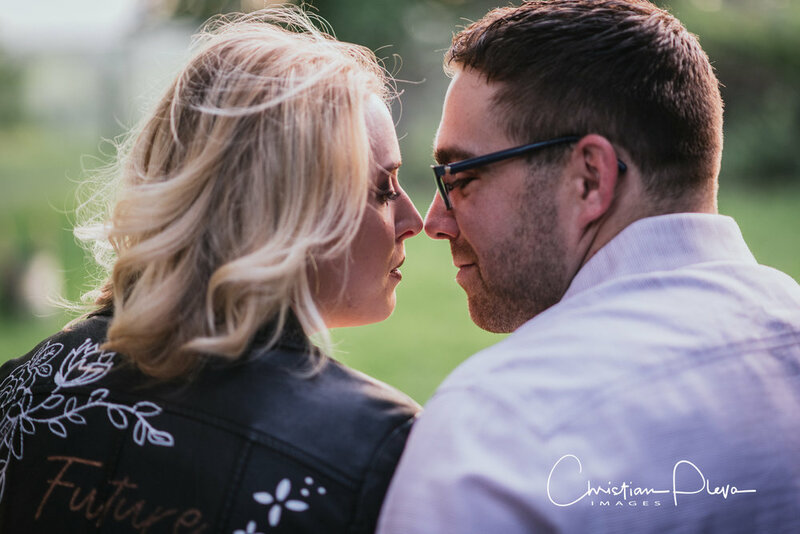 So it was an absolute honor when Becca and Brendan asked us to shoot their upcoming amazing wedding this December at The Barn at Gibbet Hill. For now we set out to make some beautiful images for them at the top of the hill at Bancroft's Castle. After walking, what felt like strait up the mountain and nearly dying from the hike, we started with capturing these two so clearly in love. It was the perfect time to shoot, heading rite into sunset. 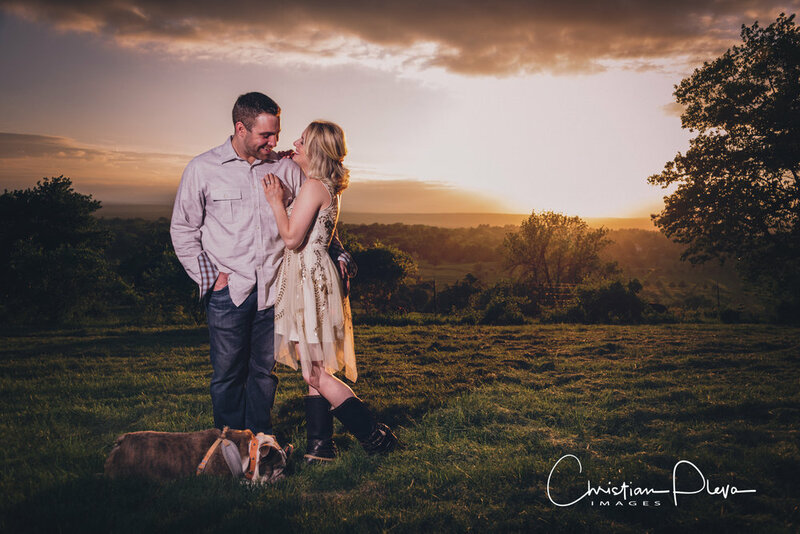 I loved working with Becca and Brendan and can't wait for their wedding. Here are a few sneak peeks and some words from the couple about their story. In April of 2011, our friends Alyssa and Bobo introduced while walking on gershom ave in Lowell going to a party at Umass Lowell. We got to know each other over the summer and started dating officially dating in August. When we get home it was starting to get dark and now poring so we drove up to our deck thinking that was the best option for carrying in the tree but when we tried to move the tree from the bed of Brendan's truck and it was immovable. I swear it was easily four hundred pounds! So then we decided to back his truck up to the fronts steps which was only four steps to the front door which seemed easy enough but who were we kidding! It was awful we couldn’t lift the tree to get it in the house!! Safe to say this night wasn’t going as Brendan planned yet I had no idea still at this Point. I kept apologizing and awkwardly laughing because I don’t think this would be that difficult but it was a terrible idea. Needless to say after about two hours we finally got it inside then house. After that we sat on the couch exhausted and he said, “let’s decorate!” I said who are you kidding I’m tired but he convinced me to put the lights on and then as he was handing me a wrapped box he said, “ I bought you an ornament and I would like it to be the first one on the tree. As I opened the box I read what it said and froze because I couldn’t believe what I was reading. Inside the box was a crystal ornament that said “MARRY ME?” I turned around to see him kneeling there with a ring and the rest was history. What details are you most excited about for your wedding? I am most excited about finally marrying Sheehan and definitely the cake because I get to make my own wedding cake! Brendan is most excited for the ceremony and the whole day. Where are you getting married? The Barn at Gibbet Hill! We were looking for something to truly capture the personalities of Brendan and I. But we also wanted to capture Gibbet Hill in the spring/summertime atmosphere because it is absolutely stunning no matter what season it is. Just to have fun and try to be themselves. Don’t try to hard to look perfect because no one is. Everyone is beautiful in their own way and the photos that capture true people are the ones worth taking. How was your overall session experience? Our experience was absolute amazing!! Wouldn’t change anything!